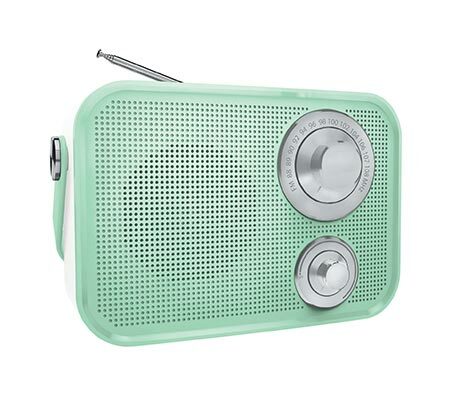 Retro and perfectly pastel, this Polaroid Portable Bluetooth Speaker features a built-in FM radio for multiple listening options. The built-in handle lets you share your favorite tunes everywhere you go. 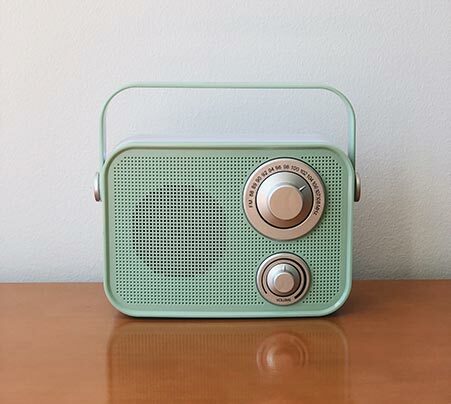 Switch on the FM radio to catch your favorite station, plug in your phone or activate Bluetooth for so many ways to play.